I'm headed out of town for a few days. As such, this will most likely be my only post this week. Of course, we'll see if some kind of blogging bug hits me while I'm away. 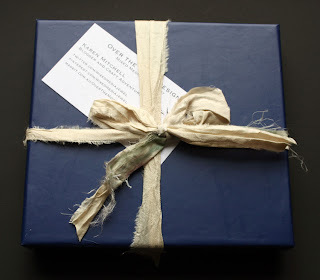 I really should have written and scheduled a few posts, but who can think that far ahead? In any case, my Etsy shop is definitely closed until Monday. 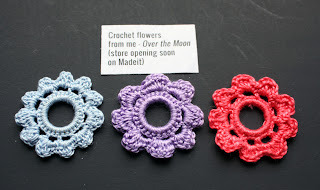 Karen also made these fabulous crochet flowers!! She also included some chain and fiber for me to play with. Here's how beautifully she had it all packaged. I'm absolutely pleased with the treasures Karen showered on me. Now to wait for inspiration to hit! In addition to this news, there are a few giveaways going on right now. 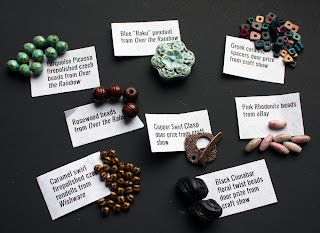 *~* Lori Anderson, Bead Soup hostess, is giving away some items from her trip to Bead and Button. You should check out this awesomeness. She has FIVE prize packs. Head over to her blog to see what I mean. 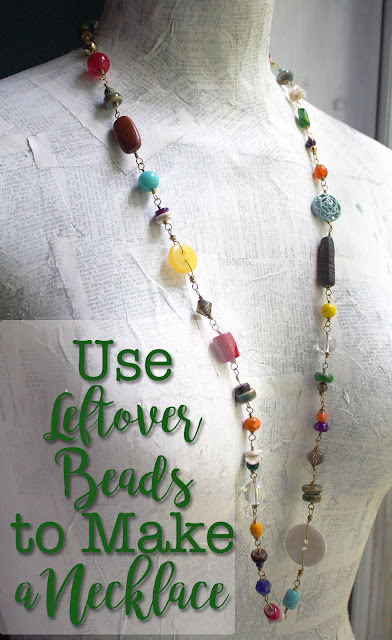 *~* Art Bead Scene Blog has a goal of getting 200 Art Bead Scene readers to donate bracelets to the Global Genes 7000 bracelets of Hope Project this month as part of their July monthly challenge. I've made a few bracelets for this cause in the past and know that it's a worthy cause. You can read more about it at the Global Genes site or through Art Bead Scene. They are using sponsors throughout the month to encourage getting the word out and participation. Melinda Orr is just one of those sponsors and has a pretty prize pack. OMG - I love your soup - that Raku pendant is great!!! Antiquity- Thanks! Unfortunately, it'll have to wait until next week when I'm in town and have the time to focus on those pretties. I don't want to mess with them while I'm distracted at a conference this week. Thank you for popping in! Lovely soup! 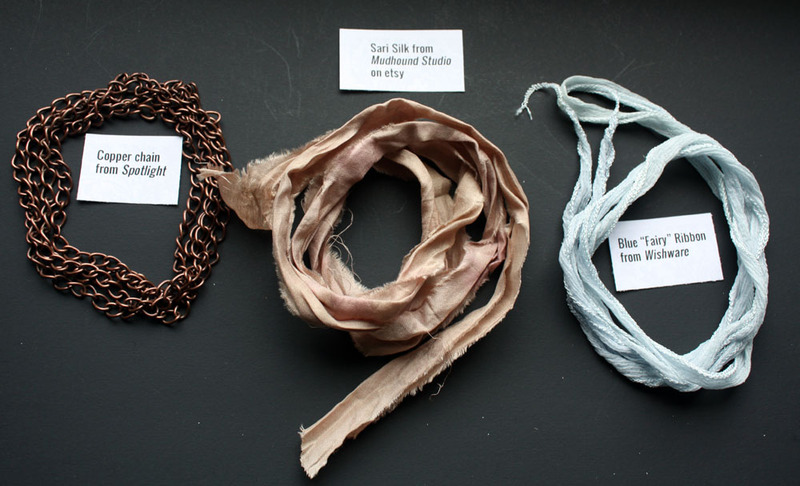 Really like that Raku pendant and the silk. Love this soup! The way Karen incorporated the peachy pinks into the mix is gorgeous - can't wait to see what you do with them! Beautiful soup! The flower pendant is gorgeous. You received so many beautiful pieces for you soup. I can't wait to see what you make. Enjoy your get away. Perri- YES! I would have never thought to include that pink with the blue Raku pendant. I think it goes together well. Now to see if I can create with them all together. Thank you! I'm glad the beads arrived safely, international mail is getting quicker every time I sent. 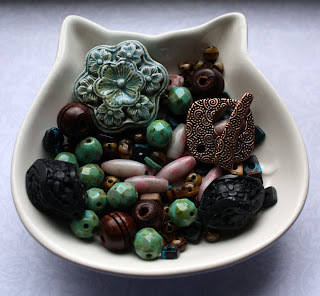 I received you bead soup today, I feel very spoilt with a choice of two soups to play with! LOVE both the focals!!!! You will have a lot of fun playing with this soup and that pendant is wonderful! Ambra- It will definitely be a good time working with my soup. Yes, the pendant is AMAZING! I've been dreaming of it since I left town. That focal is delish! 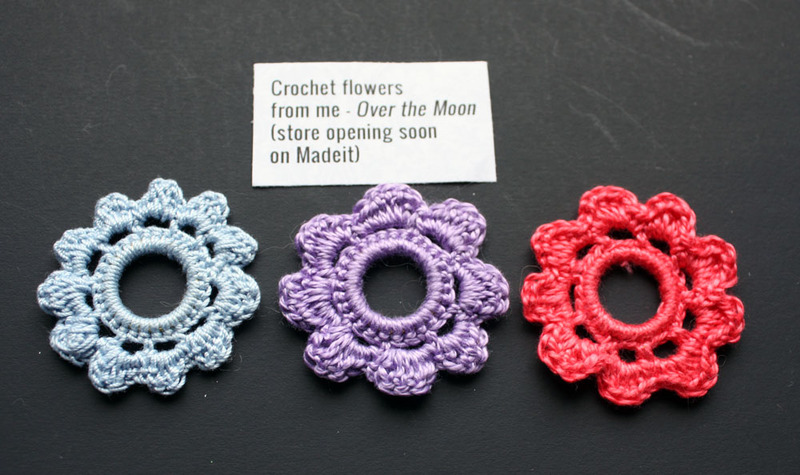 And I love the crochet flowers. I'm looking forward to seeing what you do with them. 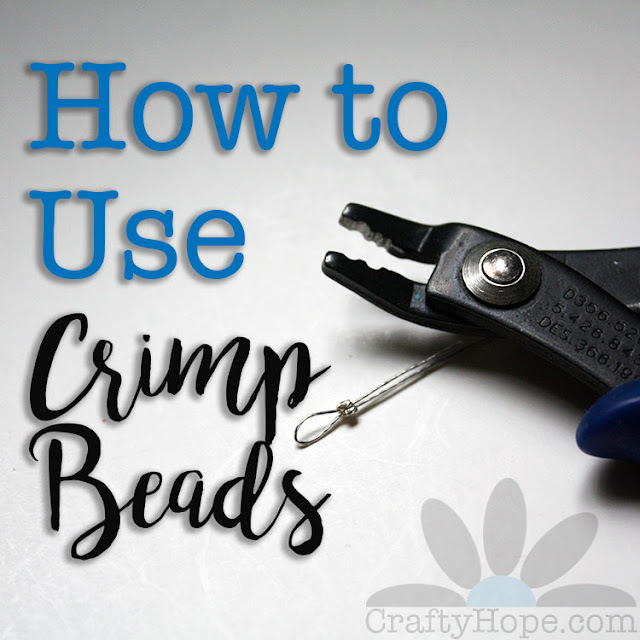 Thanks for dropping by my blog - as for those wonder beads, that's what my partner called them so that's what I went with. Prior to that, I had no idea what they were called :-).